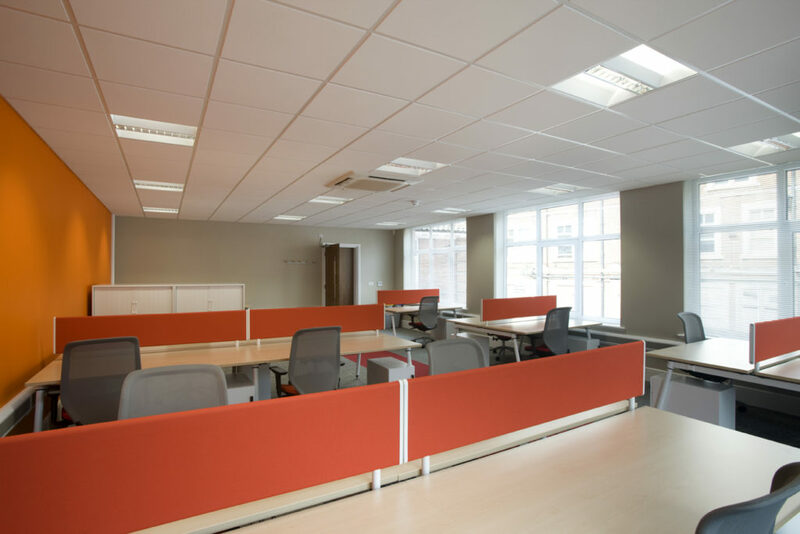 The Alan Boswell Group are a firm of independent financial advisors and insurance brokers. 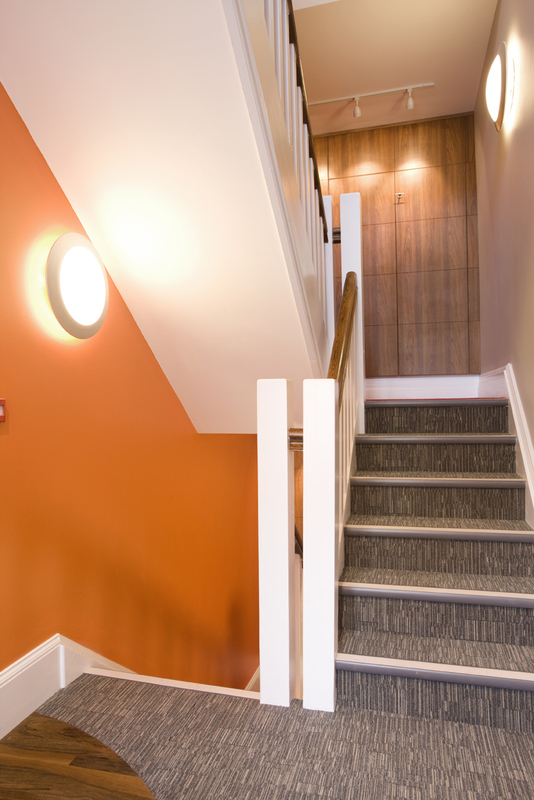 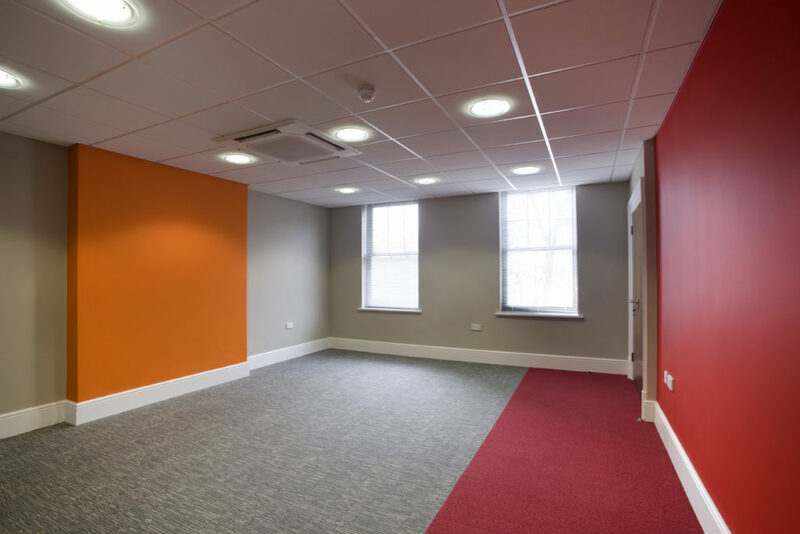 They wanted a contemporary office design that was followed by a comprehensive external and interior refurbishment over a 12-month period. 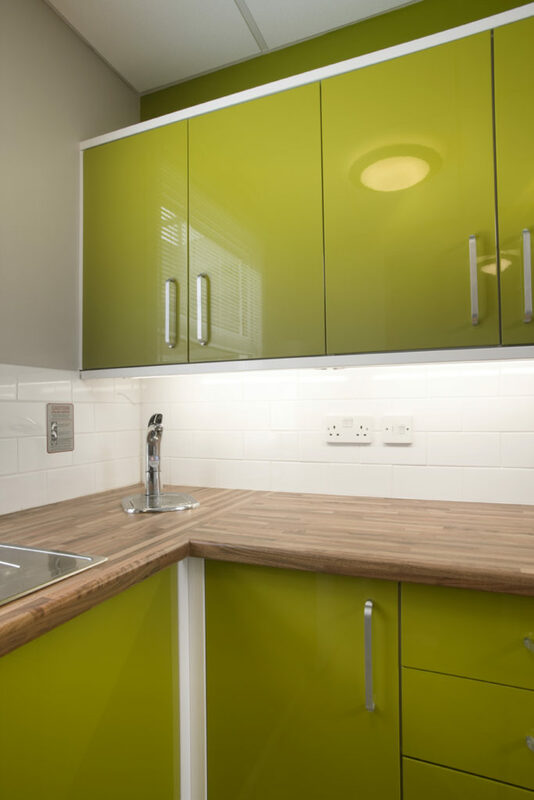 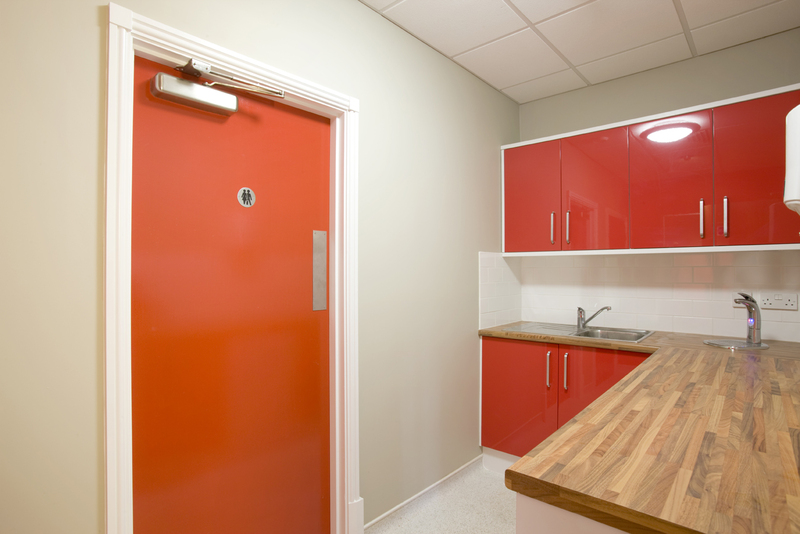 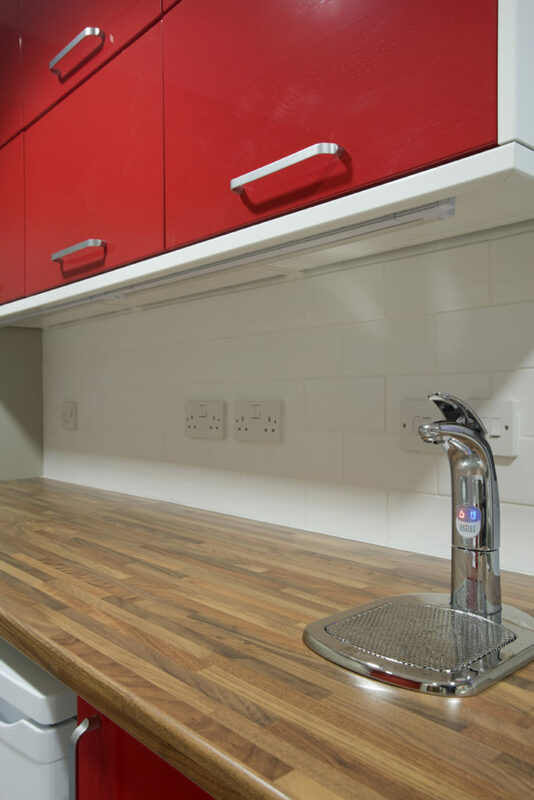 A complete design and build solution was provided from demolition to the supply of recycling bins and everything in between. 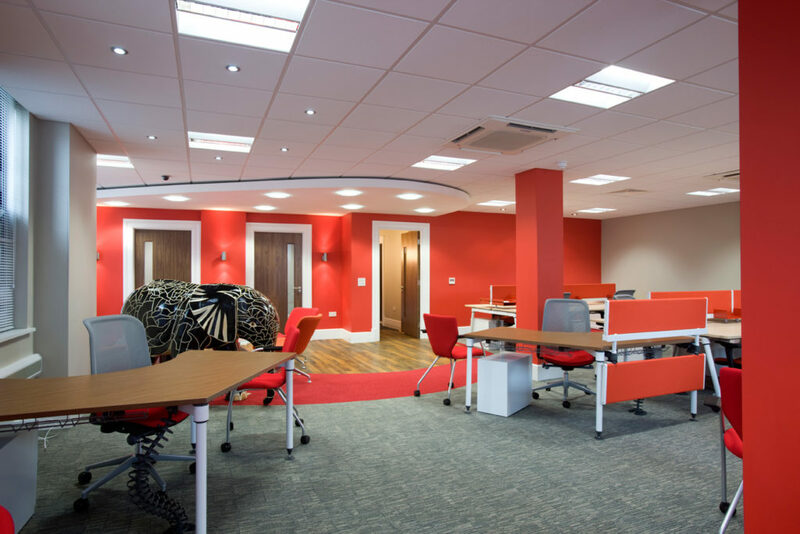 All in accordance with our design and using bright colour, open plan offices, break-out areas and vinyl graphics. 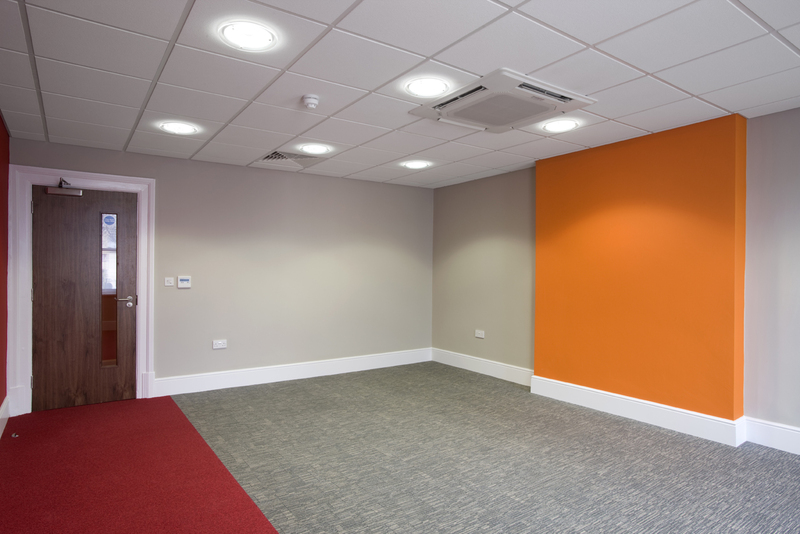 Our challenge was to create a contemporary working environment and improve the building whilst adhering to the requirements of the Conservation zone the building was contained within. 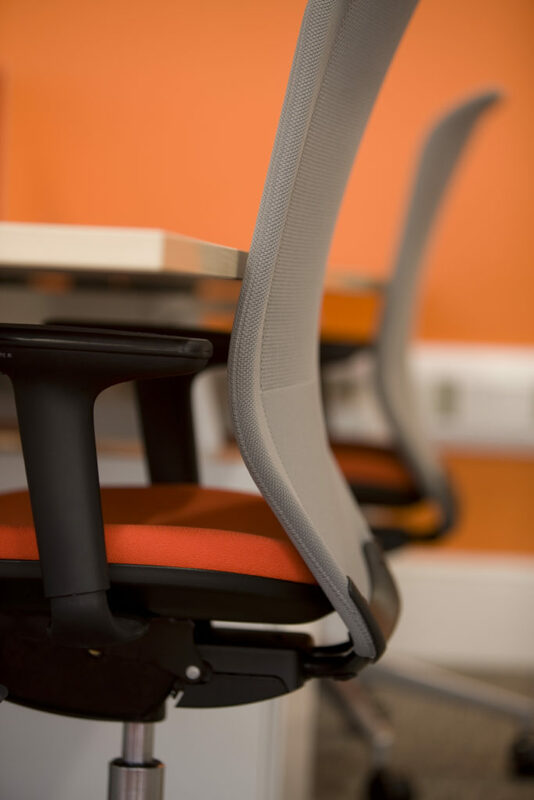 Office furniture from Herman Miller, Orangebox and Triumph was selected to provide the modern office interior our client was seeking. 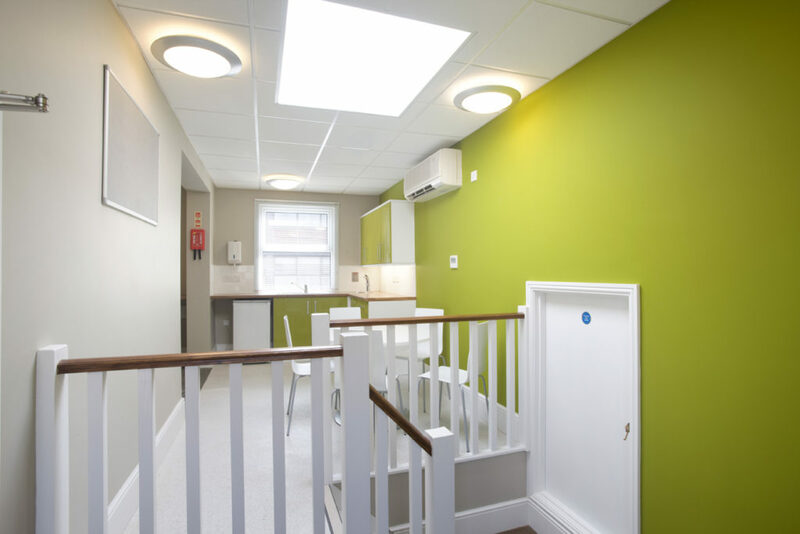 We also transported and re-homed Jemima to the front office on the ground floor where she is most comfortable!